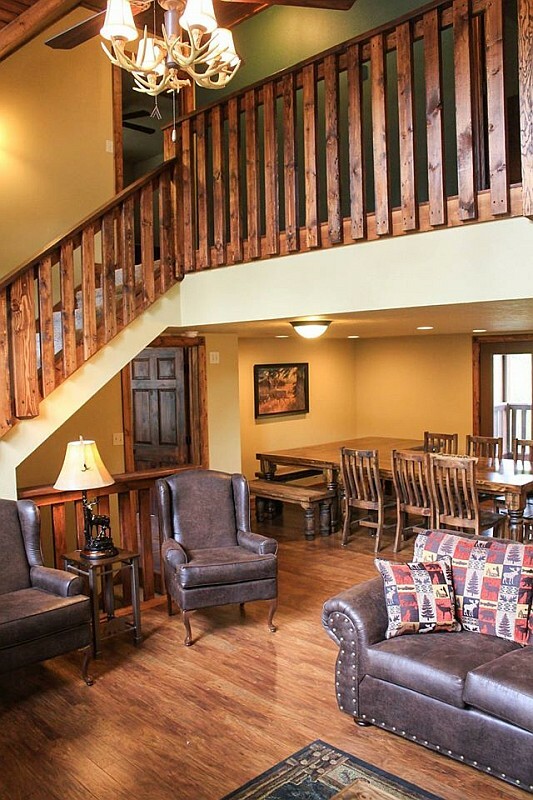 Beautiful, open, and spacious – this 7 bedroom cabin at Stonbridge Resort can accommodate up to 26 guests! 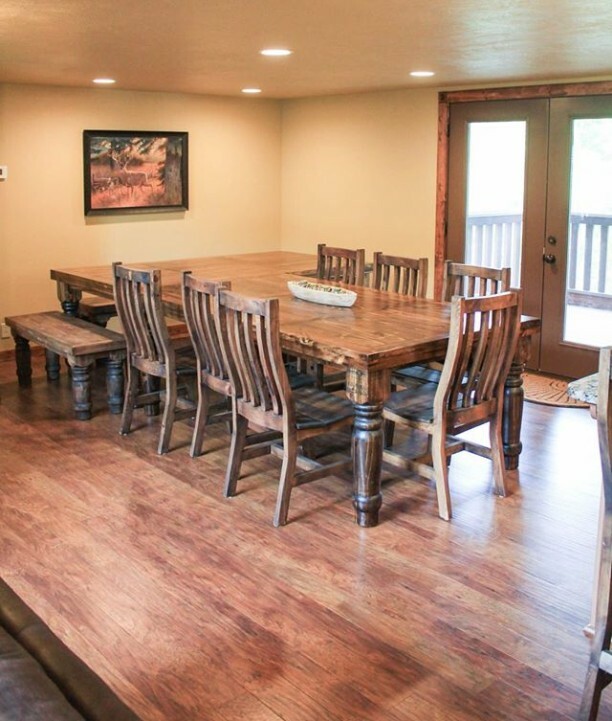 Sleeps up to 26 Guests! 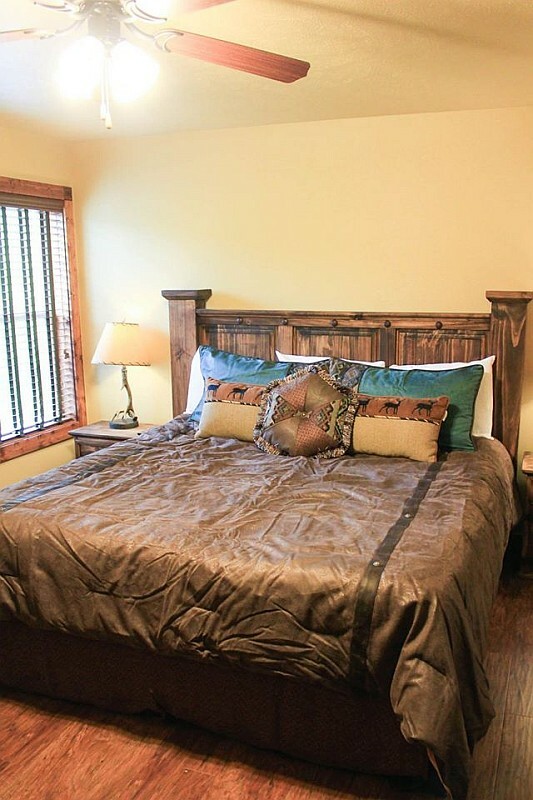 King, Queen, & Twin Beds! 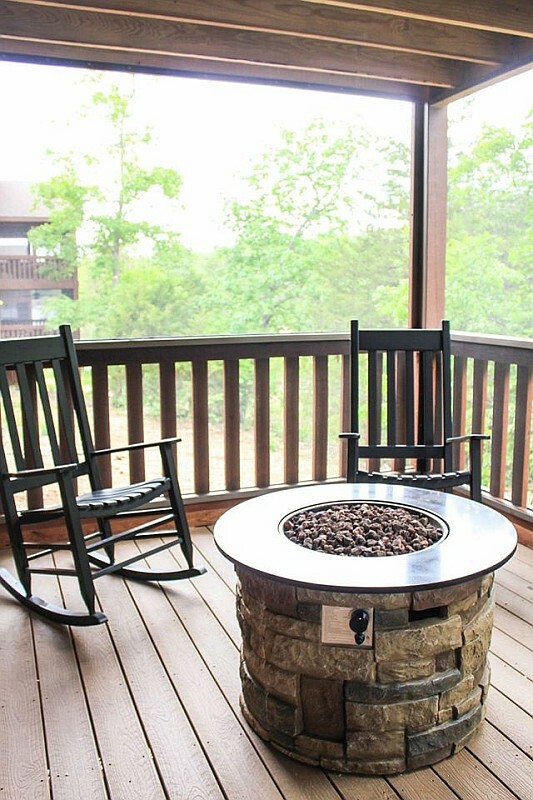 Lower Level Deck With Firepit! 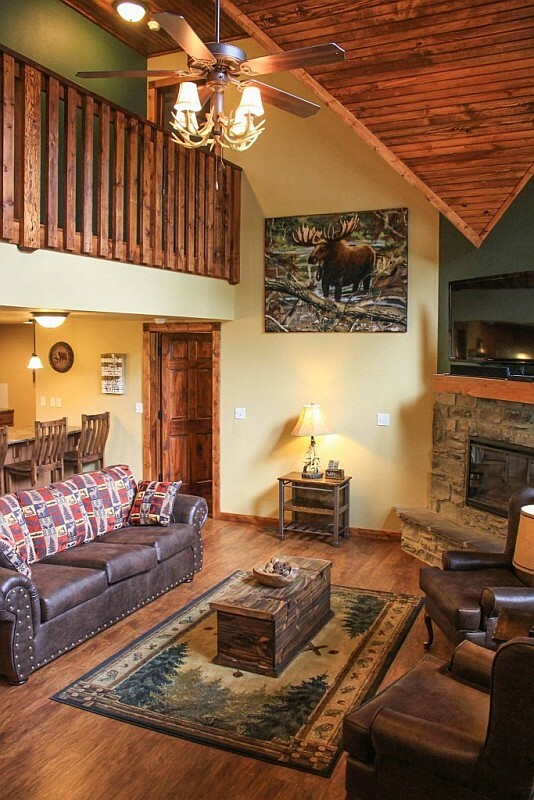 Booking tip: Stonebridge – 7 Bedroom Lodge is very popular, advance reservations are recommended! 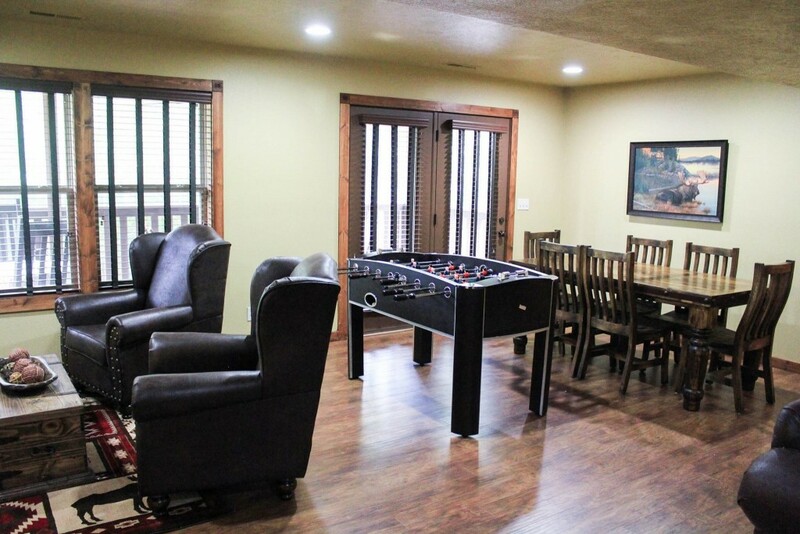 One of the largest cabins in Branson, this three-level, 7-bedroom lodge at Stonebridge Resort offers the ultimate combination of features, location, amenities, and value! 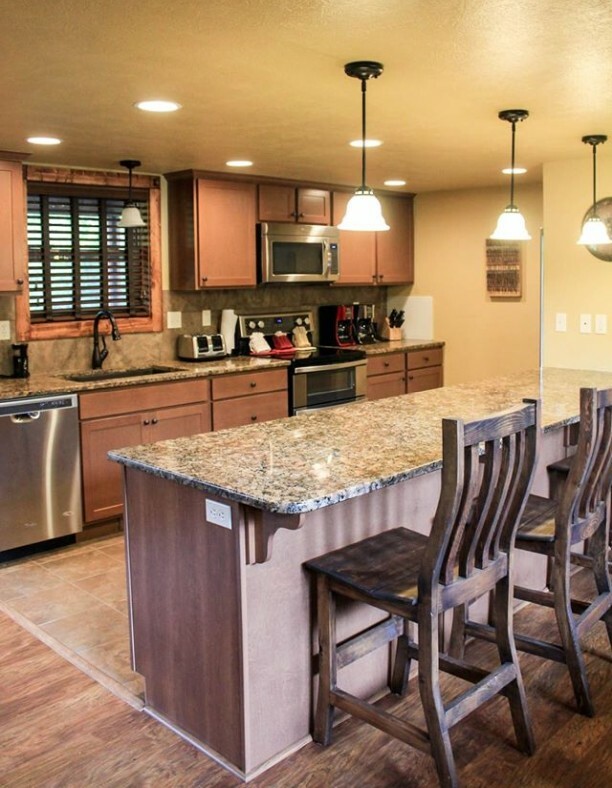 Open and spacious accommodations welcome you for a getaway you won’t ever forget! Sleeps up to 26 people! 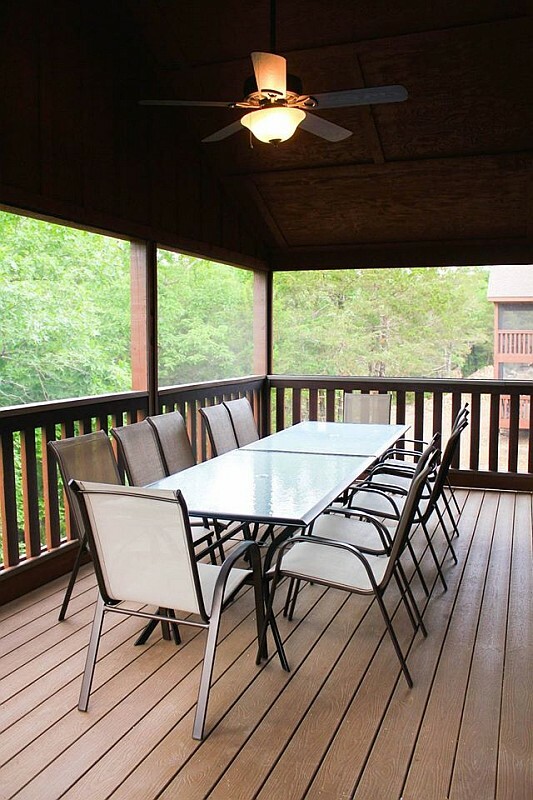 With flexible sleeping arrangements, this large cabin is able to accommodate up to 26 guests! Inside the rental is a total of 7 bedrooms and 7 bathrooms – ensuring plenty of space and privacy for everyone staying here! 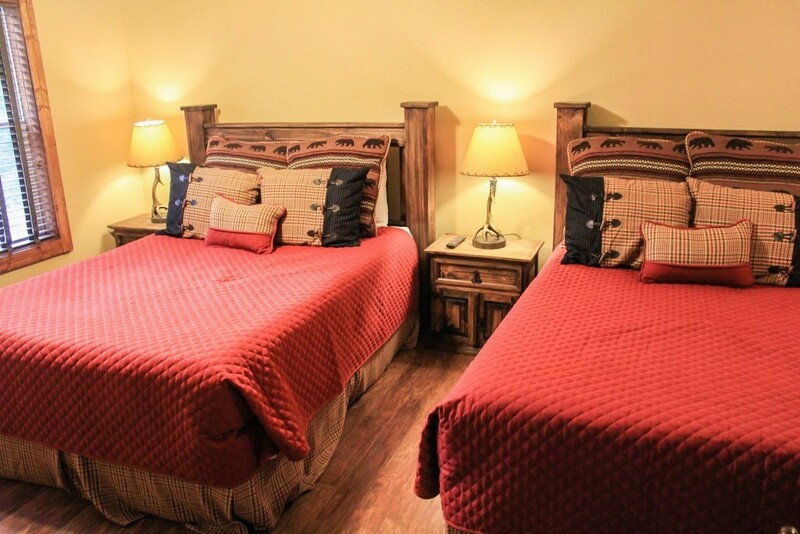 On the main level are 2 master bedrooms (with king beds) each with their own attached bathroom. The upper level has 3 bedrooms (with king beds and a set of twin-sized bunk beds) and attached bathrooms. 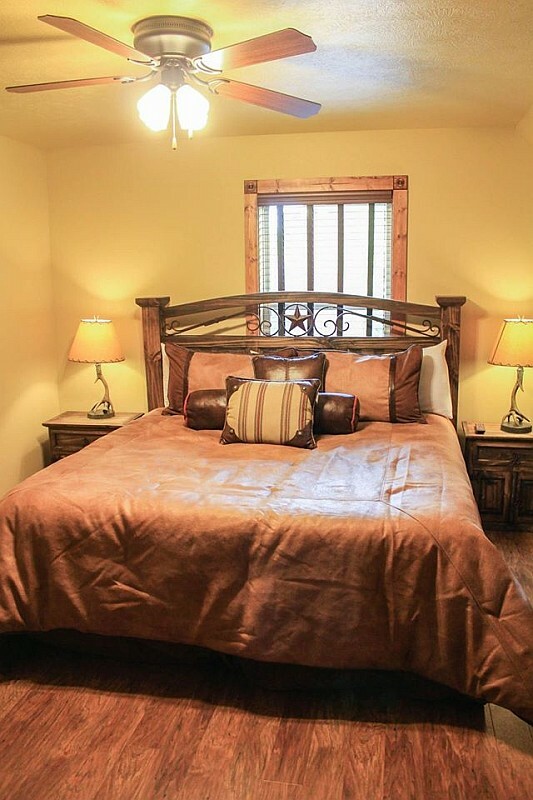 The lower level has 2 bedrooms (with 2 queen beds in each) and attached bathrooms. 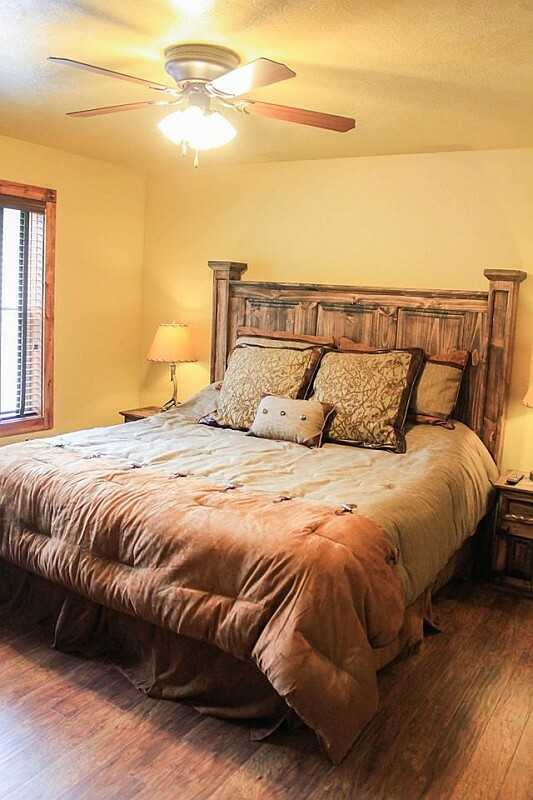 The cabin comes with everything you could want for a comfortable and enjoyable stay! 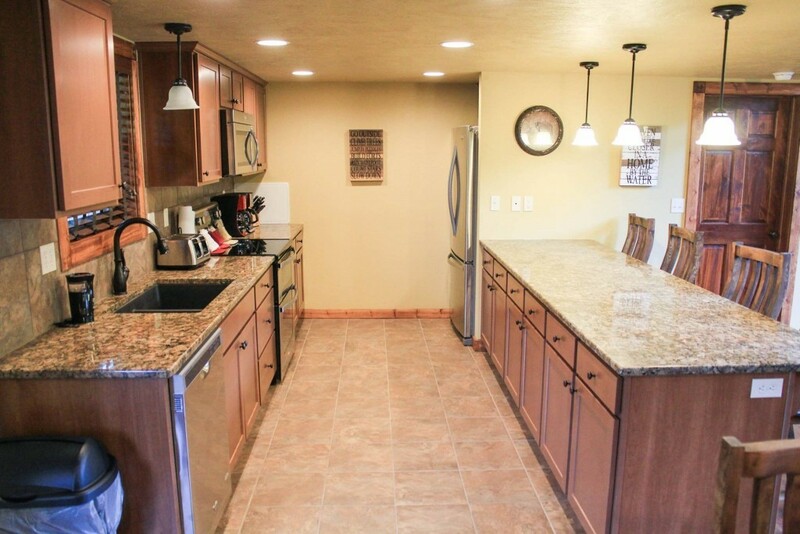 A fully-equipped kitchen, living room, dining room, lower level living room with sleeper sofa, screen-in deck, gas fireplace, Wi-Fi internet, flat-screen TVs, and even a foosball table in the lower level! 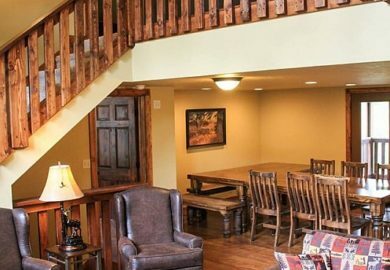 Your stay at this cabin will put you in the heart of the Ozark Mountains and just minutes from everything there is to see and do in the area. Branson’s two famous lakes are just a short few minutes’ drive from your lodge, while the shopping, shows, restaurants, and attractions are just 5-10 minutes from you! 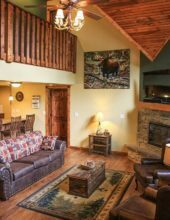 Those traveling with larger groups will appreciate everything that this cabin and Stonebridge Resort offers during your stay!